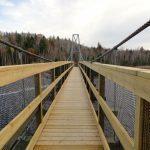 A 260ft long cable suspended pedestrian bridge, utilizing a timber and steel combination within the design. 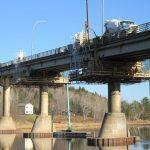 Widening of the Route 15 Underpass located on Mapleton Road in Moncton, New Brunswick. 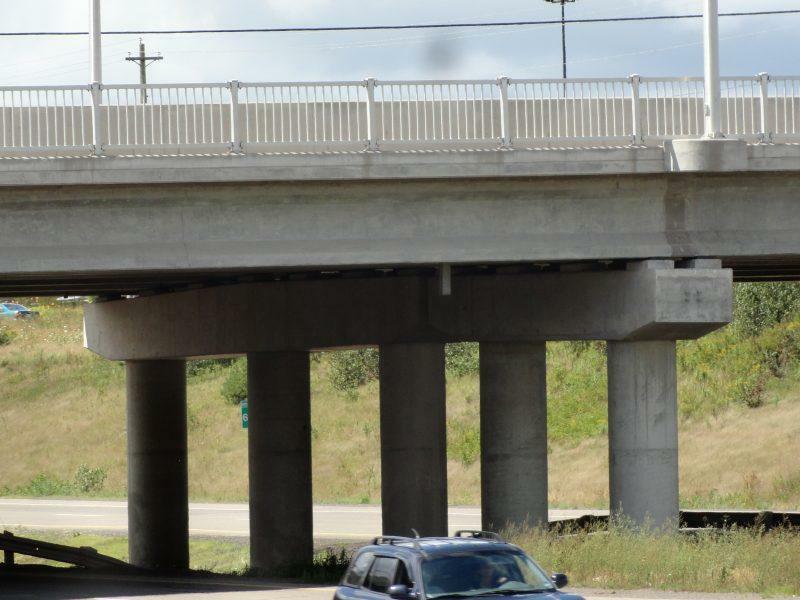 Designed to widen (by 2 lanes) the existing 4-span underpass bridge, utilizing pre-stressed girders with a composite concrete deck. 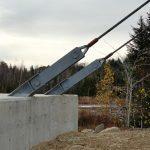 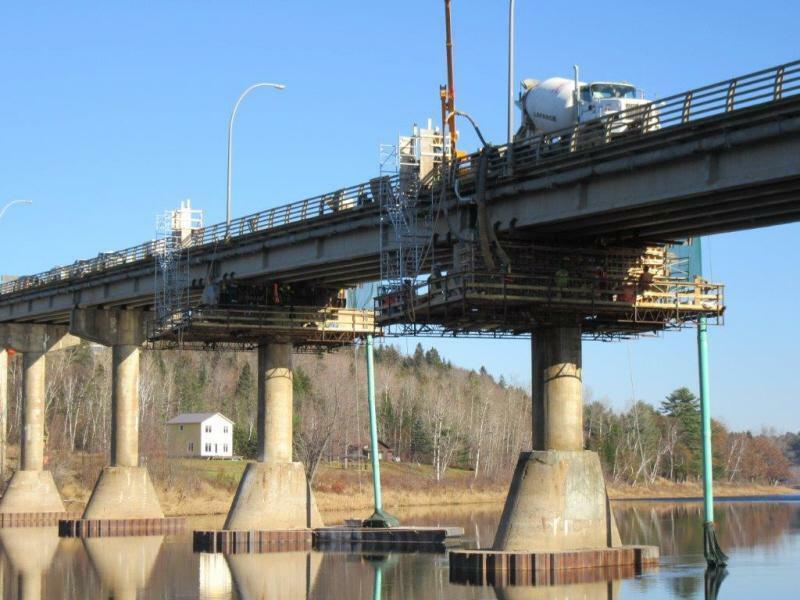 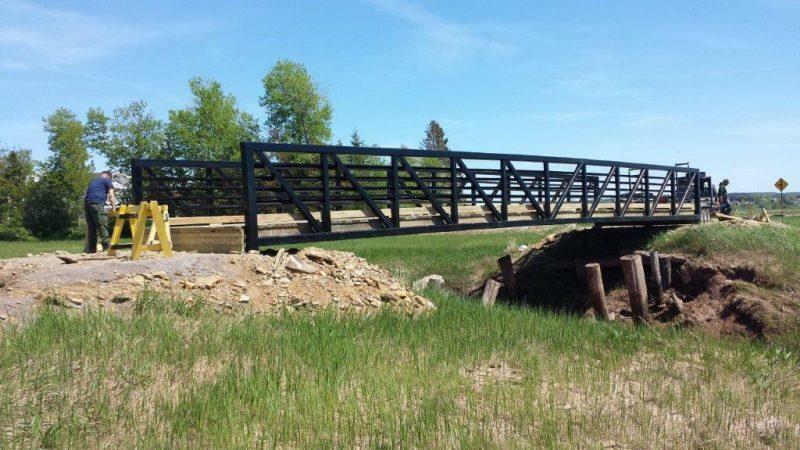 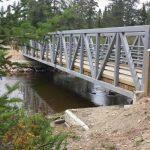 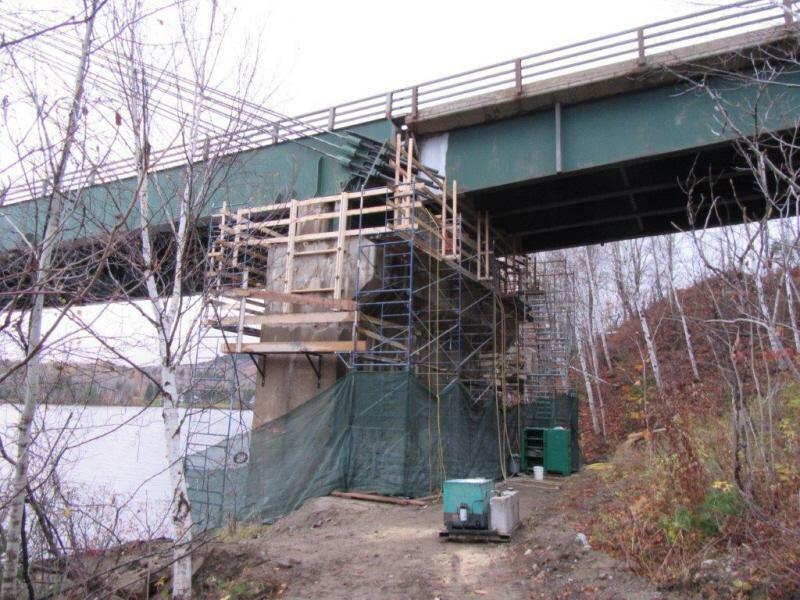 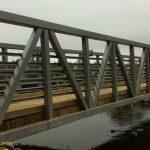 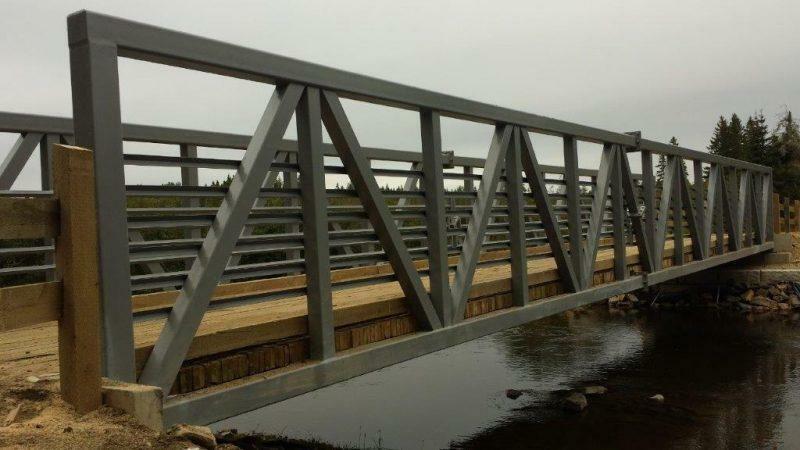 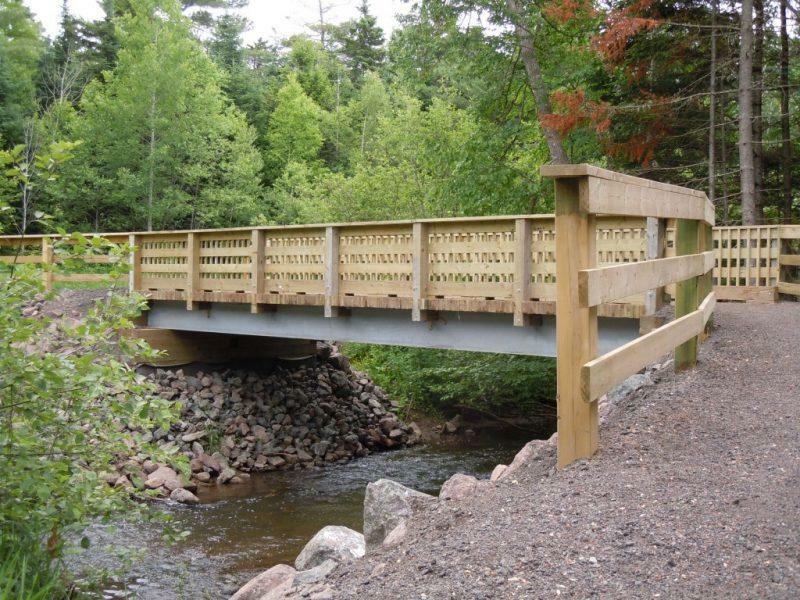 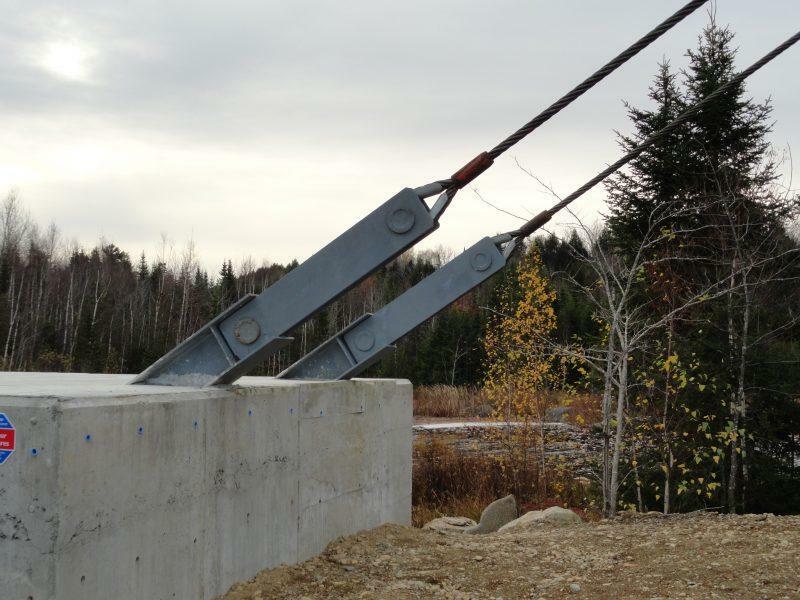 Delray Engineering has designed numerous steel through truss bridges with laminated wood decking ranging in lengths from 40 ft to 80 ft long for the NB Trail system throughout the province. 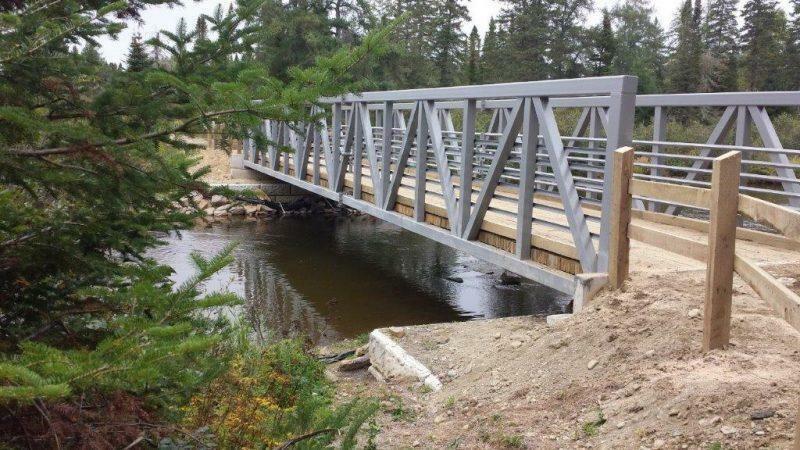 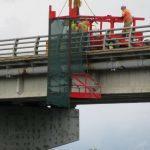 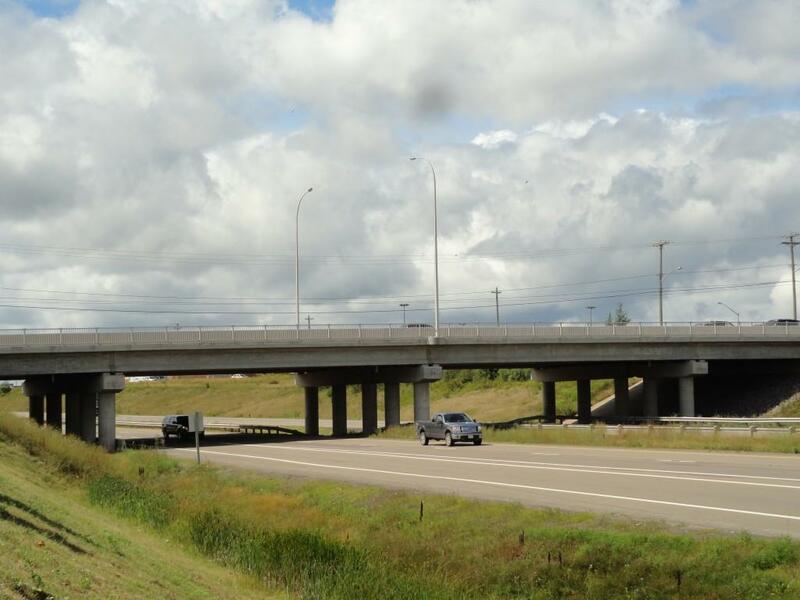 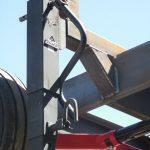 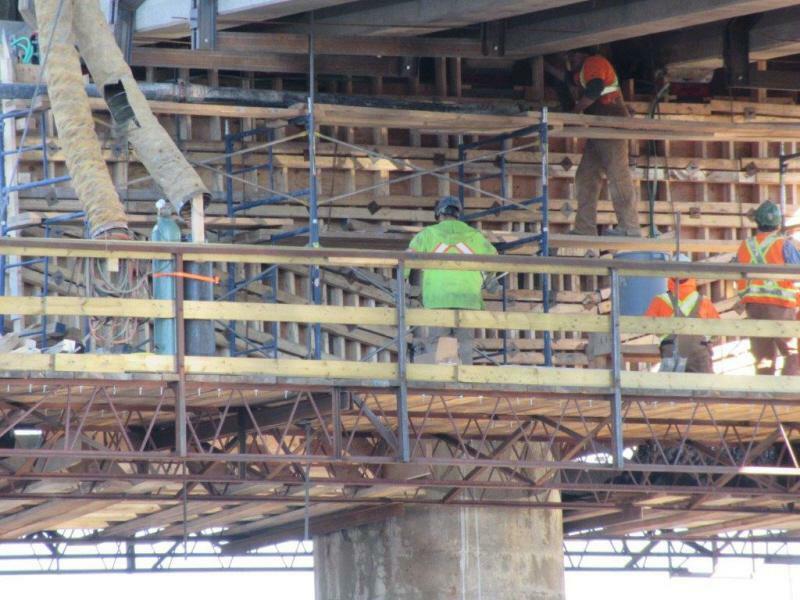 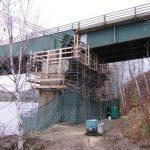 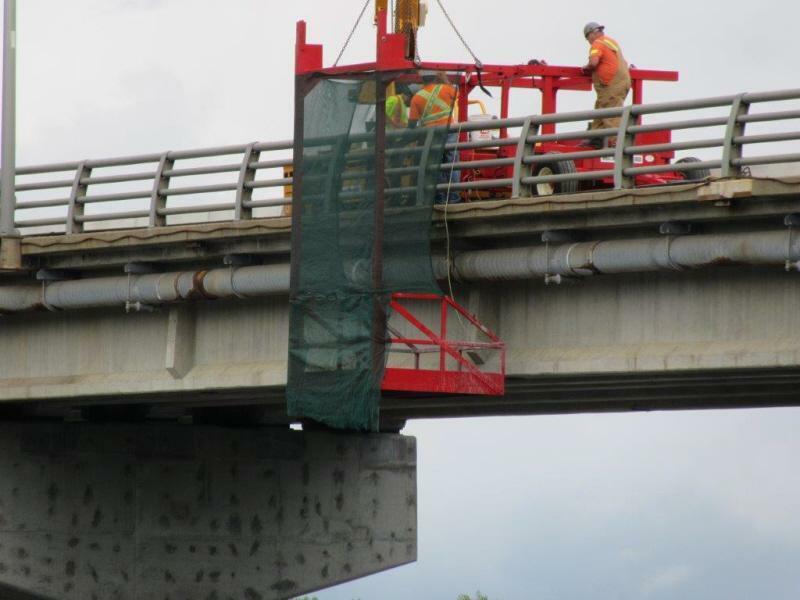 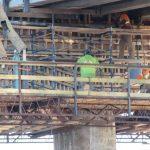 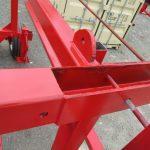 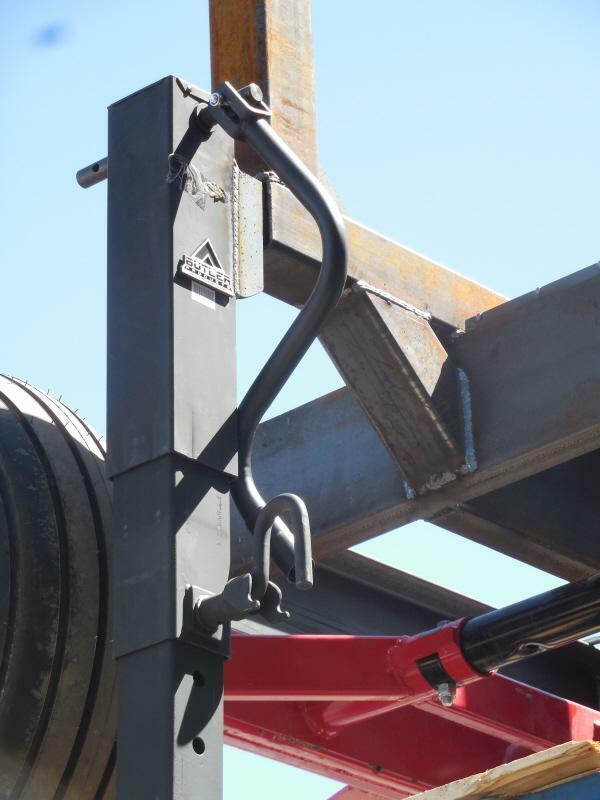 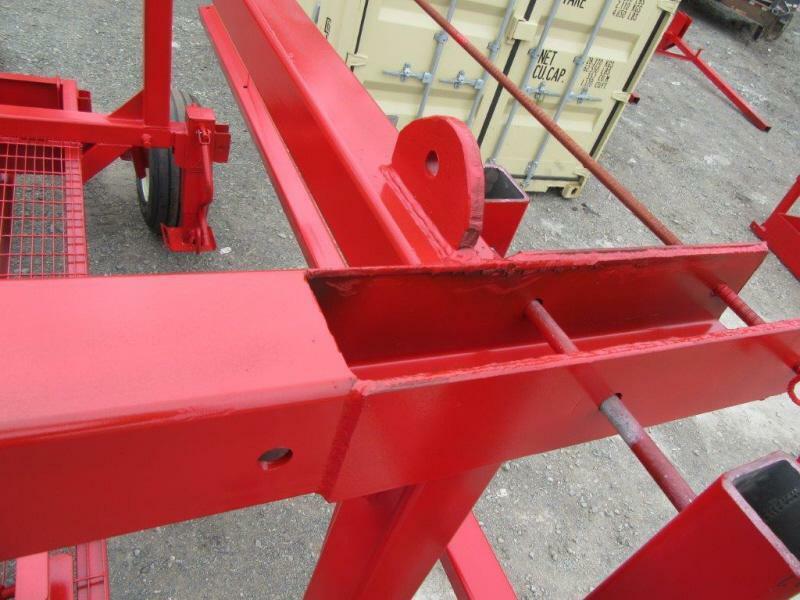 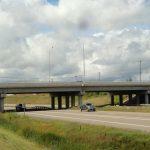 The bridges are designed to carry maintenance vehicles as specified in the Canadian Highway Bridge Design Code. 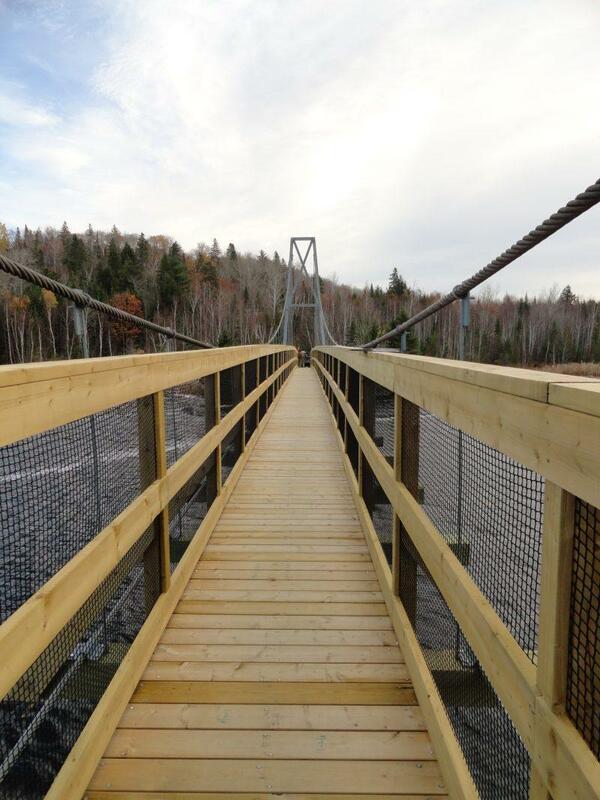 Plans for a 2-span, 275 foot long, cable suspended pedestrian bridge, located in Centennial Park, Moncton, NB.